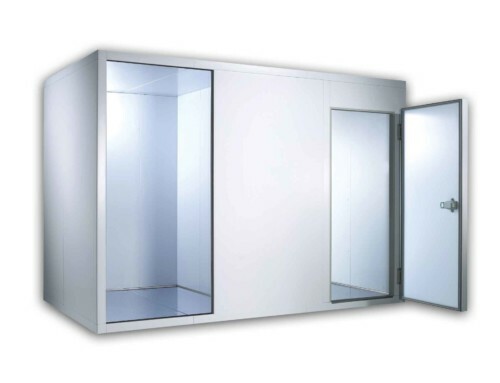 The PICCOLO ROOM modular cold room range is realised in 28 dimensions and for 2 heights with 2 insulation thicknesses: 60 mm for positive temperature and 90 mm for negative temperature (except angle model). Upright panels and internal ceiling panels are in white plastic coated galvanized non-toxic steel. Internal floor panels are in grey plastic coated galvanized steel with anti-slip finishing. Floor and ceiling external sides are in galvanized steel. Inside corners are rounded by a sanitary profile. The Piccolo Room is also available with a stainess steel floor. Inside corners are rounded by sanitary profile. 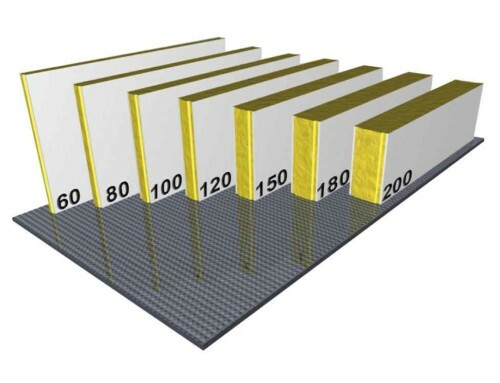 Insulation by means of expanded polyurethane injection, without CFC and HCFC, with density 40-42 kg/m3. Panels are assembled by an eccentric hook system that allows a rapid and efficient catching of the elements while operating from inside of the cold room. 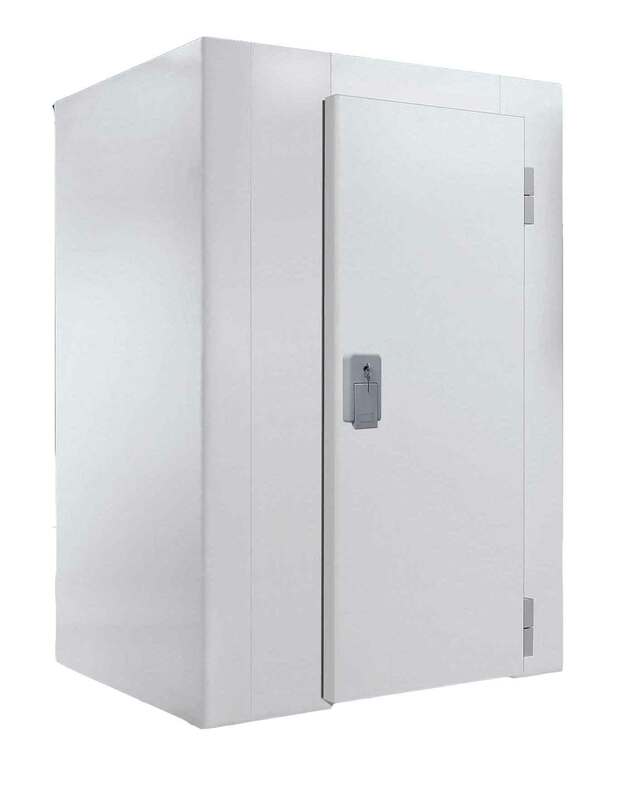 The entrance door, provided with key-lock and internal safety release, has an opening of 630×1750 mm. In negative temperature cold rooms an anti-frosting heating cable is inserted in the perimeter of the door-space. PICCOLO ROOM cold rooms with positive temperature are available with glass door too. 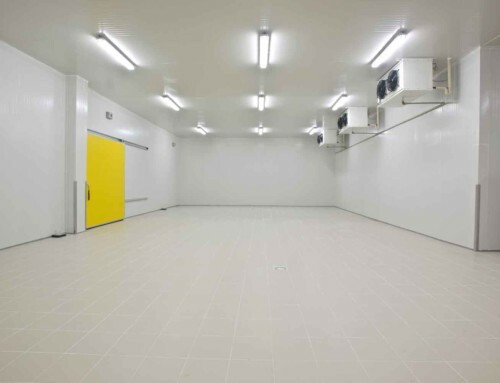 By request, each cold room can be equipped with: plastic coated galvanized steel shelving, hook rails for meat with stainless steel hooks, compensation valves.“MONOBLOCK” refrigerating units for positive and negative temperature are available for wall or ceiling assembling, or with remote condensing unit.